Gabrielle has worked in and around the videogames industry for fifteen years and currently lectures in games art and design at Teesside University. As well as teaching, she directs and presents Animex, the UK’s largest annual games and animation festival, bringing young people together from all over Europe. Gabrielle has written and contributed to a number of articles, papers and broadcasts on gaming and is a regular judge on the Games BAFTA awards. In 2006 she was voted one of the Top 100 most Influential Women in the games industry by US based Next Gen magazine and again in 2013 by MCV magazine. 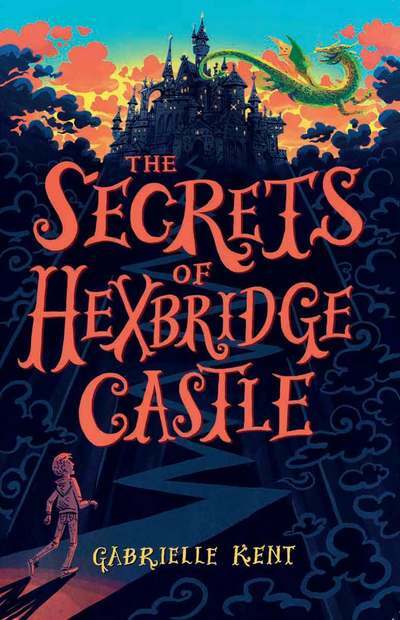 The Secrets of Hexbridge Castle was short-listed for both the Northern Writer’s Awards and the Mslexia Awards in their unpublished categories. An excerpt from the novel also won Friday Night Live at the 2013 York Writer’s Festival. It was also selected as a Wold Book Day 2016 recommendation for 9-12 year old readers. "A cracking read for anyone who loves a magical adventure." "Gabrielle Kent is obviously a fellow lover of children's literature as Alfie Bloom contains elements that in some ways almost make it read as a homage to the great children's writers and books of the past, in the best possible way ... this is yet another book that richly deserves a place in my Top 10 books of 2015. It is middle grade fantasy adventure at its very best, and I can't wait to read the sequel.Middle grade fantasy adventure at its very best, and I can't wait to read the sequel." "Has a little of everything, time-travel, magic, mystery and an enigmatic butler! It is a satisfying story of good versus evil and little versus big that will resonate with young readers. The characters are affable and adventurous ... well-paced story-telling will keep you hooked to the end." "Kent has crafted a finely woven mash-up of some of the best known children’s literature and created her own excellent adventure... If I was a child again, I’d hope for at least ten in the series... Fabulously promising"
"BRILLIANT! So much so I actually exclaimed ‘Brilliant’ out loud... Enticing and well-written... Lots of danger, dark and twisted"
"It was the cover that got Moontrug first: dragon claws, ravens, a mysterious castle and a child… The perfect ingredients for an 8+ years fantasy book. 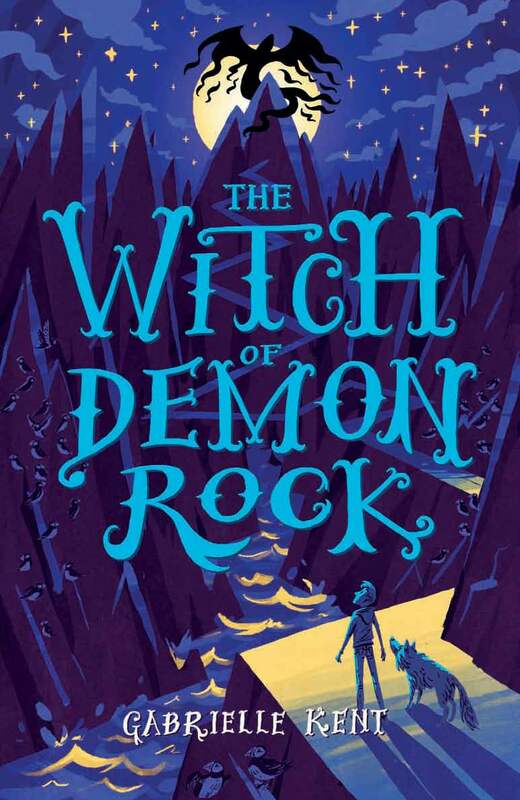 And within the first few pages, Moontrug was completely hooked ... The opening chapters have that ‘I want to climb into this book’ feel: a crotchety old lady encountering something dark and mysterious in the middle of the night. And so begins a story narrated with all the warmth and charm of a wonderful children’s book. The magic is enthralling ... the characters are brilliantly named ... and the sense of adventure is endless. A cracking debut and fans will be excited to learn that [the next instalment is out now] YIPPEE!" "I’m a bit of a sucker for a magical adventure story and it’s certainly true that fans of Roald Dahl and J.K. Rowling will really enjoy this thrilling middle grade read. The strong characters and solid plot grabs your attention instantly and leaves you eager for more at the end and I believe the fantasy elements will appeal to both the young and the young at heart. I can definitely see it being read in classrooms and also read by children on their own and if they are anything like me when I was younger they’ll be turning the torch on to read under their covers after the light goes out, desperate to reach the end!" "When I wrote my review of Alfie Bloom and the Secrets of Hexbridge Castle, I took some pride in that fact that I had spotted one particular plot twist that had not yet been resolved. Gabrielle Kent sent me a message (of which I will say no more, for fear of creating spoilers), but I have felt more than a little smug since. Well they say that pride comes before a fall, and I feel that I have fallen big time. The plot of The Talisman Thief has some MASSIVE twists that hit me right between the eyes and had my jaw dropping to the ground. Alfie Bloom and the Talisman Thief is a superb sequel, and I am sure it will be making an appearance in my favourite books of 2016." "A magnificent adventure which will hold you in its grasp and keep you frantically turning the pages demanding more. Full of the unexpected it never ceases to surprise me as it gradually unpeels the mysterious layers which cover the truth of Alfie’s destiny. Whilst Alfie is a brilliant protagonist, Gabrielle has assembled a worthy supporting cast in his feisty cousins and best friend Amy. They are each tested and pushed to their limits, they are not mere accessories, their individuality and presence shine through the story. With echoes of the breadth of characters in Harry Potter and The Chronicles of Narnia, we see each of our children look inside to find their inner strength and face their own battles. We are left with a hint of what lies ahead for Alfie as he chooses to accept the inevitably of his future. What lies ahead is uncertain but we can only wait and see what Gabrielle has in store for him next. For me that moment can’t come soon enough!" "While the first book had a surprising reveal at the end, I hadn’t expected the number of twists this time around! Not only do we learn something huge about Ashford, but also Emily too! I actually read the last 75-100 pages with this face: :O As magical, imaginative, and fantastical as the first, with extra adventure and intrigue, Alfie Bloom’s continued adventures keep getting better and better and I can’t wait to see what he does next. 5 Stars ★★★★★"
"An excellent follow up novel to the first book in the series and one I thoroughly enjoyed reading. My favourite character, apart from brave Alfie has to be Artan the loveable bear – who is actually a bear skin rug but makes an excellent flying carpet and has some brilliant jokes. Once again, we have a thrilling plot that is action-packed with little time to draw breath before the author throws in another exciting incident and I’ll certainly be looking out for the third book in the series." "I really loved this series and its characters and raced through both books, and will definitely head back for a re-read when the next book comes out. I find that I do sometimes struggle with middle grade books feeling too young (as a 37 year old that’s not really surprising), but, for these books that wasn’t a problem at all. I was definitely hooked when the carriage from Muninn and Bone came calling. Although they work well for the intended age group 8-12 there is much for readers of any age to enjoy. This series has been compared to Harry Potter and there are some similarities – the fabulous cast of characters, joy and ease of reading and magic but it is also very different. To summarise – read these books – to your kids if you have them – or to yourself if not. There is much more I could say and many more characters to meet but I’d much prefer you to find that out for yourselves." "I absolutely loved Alfie Bloom and the Talisman Thief, and hope you do too - it's a wonderful, magical adventure story! Two pages in and I'd placed an order for the first book in the series, Alfie Bloom and the Secret's of Hexbridge Castle, although I hasten to add that you can read the Talisman Thief as a stand alone without feeling like you've missed out on anything. Alfie is a fantastic new hero to root for; like the best of heroes he is brave and loyal, he makes mistakes, needs his friends, never gives up and fights for those he loves until the very last. A castle full a wonder, with secret rooms around every corner! Multidimensional offices ( just imagine it, step through door one and you're on earth, door two and... who knows? anywhere is possible! ) Elves! Magic! and Time Travel! What more could an adventure need? Oh yes, an amazing group of children who will stop at nothing to save the world! Every word weaves around the next, creating a spellbinding adventure that I for one would love to see on the big screen! Will definitely be reading this series to my children and taking copies into the school library. 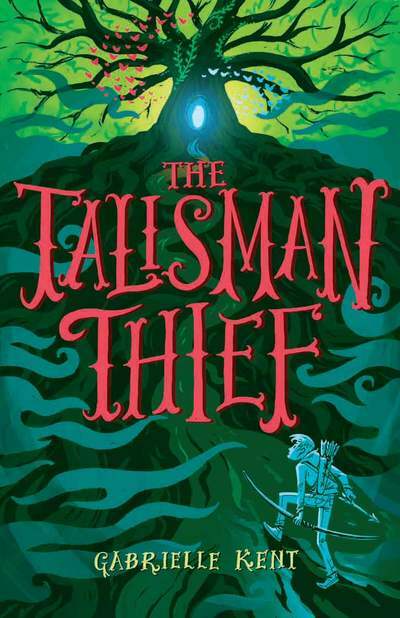 I give Alfie Bloom and the Talisman Thief 5/5 ★★★★★"